Check for the right answer below. 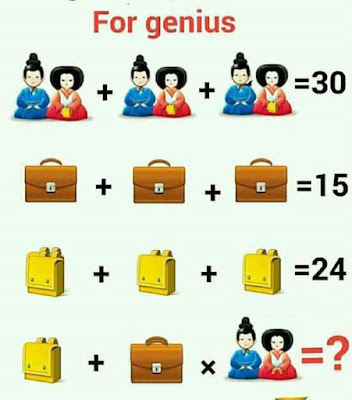 Note: There is a yellow bag (6) in the had of the Chinese women. There are several answer's and explanations for this question. The above is our explanation. If you have any other answers, please submit in the comments section with explanation. Your explanation to the Chinese couple is wrong. Look again!! The couple explanation is incorrect. Try again. 6+10*4=46 but whats with last couple and tie around his neck?? Nope. 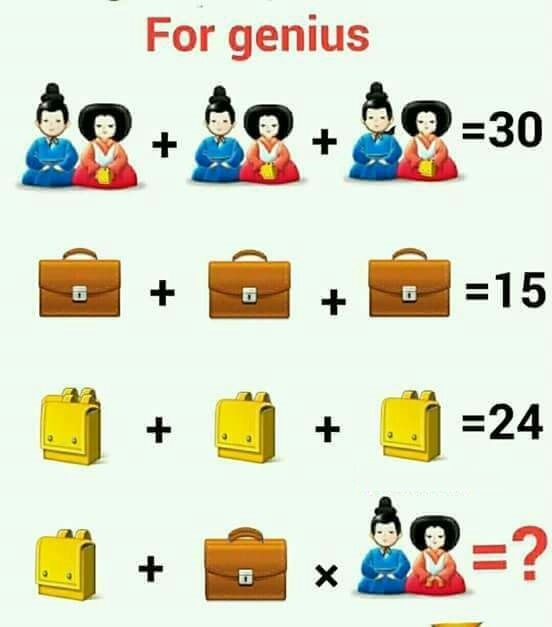 There are three solutions if all of the images represent natural numbers. 4 x=4, then y=4, but it is impossible because y cannot equal x, as y>x.